ICOPOWER is one of the leading companies in the world focused on developing and commercializing electric energy-saving technologies. Icopower has a strong focus on voltage optimization and improving power quality. With its own production facility and R&D center in Milan, Italy, Icopower is our main strategic supplier. 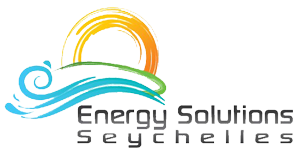 Energy Solutions Seychelles (ESS) is an established and trusted supplier in the Seychelles by providing turn-key solutions in both renewable energy and energy efficient products, such as LED lighting and solar water heaters. ESS provides also energy consultation services. 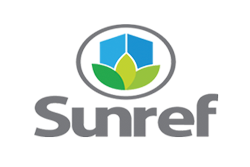 The SUNREF East Africa Green Lending Programme was created by AFD (French Agency for Development) to facilitate the development of renewable energy and energy efficiency projects in Kenya, Tanzania and Uganda targeting the private sector. It consists of a credit facility provided to local banks in each country (referred to as Partner Banks) in the form of long term financing destined for green energy project developers (referred to as Project Sponsors), supported by a technical assistance whose role is to reinforce the technical and financial development of the green energy projects while providing technical support and training to all stakeholders. The Programme is coordinated and implemented by KAM (Kenya Association of Manufacturers) with the support of a consortium (Burgeap and other experts, hereinafter referred to as the “Consortium”) and of Focal Point organizations in Tanzania and Uganda. 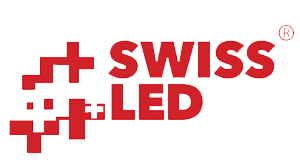 Swiss LED is a commercial lighting organization founded in 2007, headquartered in Chavannes de Bogis, Switzerland. Swiss LED is a manufacturer of innovative LED lighting products & is rapidly growing in the field of professional LED lighting solutions in Europe & the Middle East. We offer a full range of high quality professional and consumer lighting products that have one characteristic in common: the renowned Swiss quality and precision. Swiss LED provides a high-end range of quality products as well as professional lighting solutions for our clients around the globe. 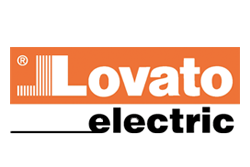 Lovato is a privately-owned company based in Bwrgamo, Italy. Lovato designs and manufactures low voltage electrical devices in the industrial automation and energy management fields. Main products are motor protection circuit breakers, contactors, pushbuttons, switch disconnectors, limit switches, digital multimeters, energy meters, soft starters, AC motor drives, automatic power factor controllers and engine and generator controllers.